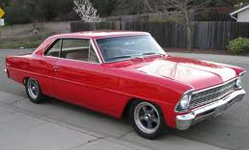 Remember the story about Chevy and the Nova? The auto maker’s efforts to market the car in Latin America failed spectacularly . Turns out “no va” in Spanish means “it doesn’t go”, and nobody wants a car that doesn’t go! The story is usually cited to illustrate the difficulties in translation when it comes to naming vehicles. But I’m not concerned with what American model names may mean in other languages so much as in what they mean – or don’t mean – in America. Here’s a pretty comprehensive list of the best, worst and weirdest car names: http://www.forbes.com/2004/07/12/cx_dl_0712feat.html. But there must be others out there… can you think of any? « Are You Left-Brained or Right-Brained?